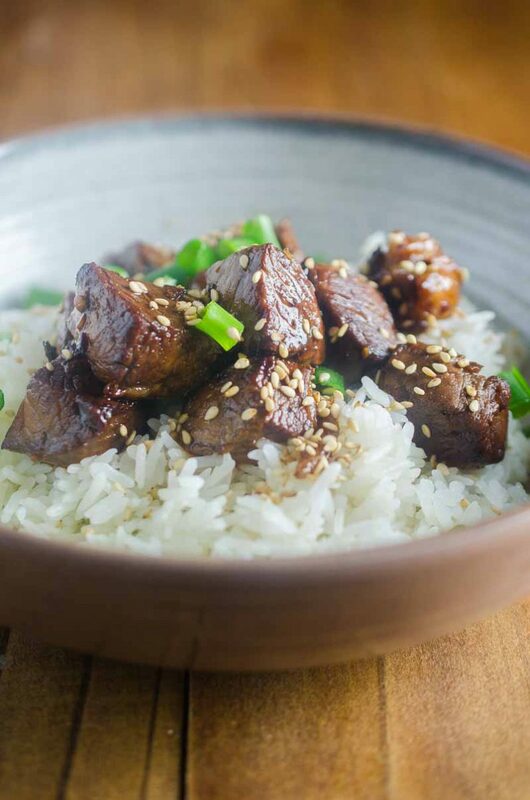 These Tender Teriyaki Steak Bites are marinated in a sweet n’ tangy teriyaki sauce then cooked to perfection. They are bite size and perfect for the whole family. When Ryan and I went to Hawaii last September to celebrate our 10 year wedding anniversary, we arrived to our hotel a couple of hours before our room was ready. So we do what we do anytime we go somewhere, we look for a great place to eat. This time we picked Steak Shack on the beach and, lordy, was it ever good. I just remember taking the first bite while staring out over the ocean. It was the perfect way to kick off our trip. 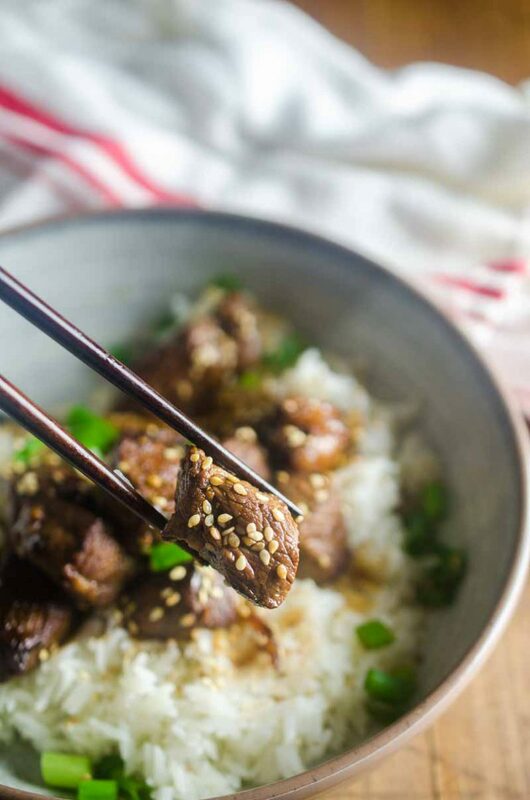 That trip inspired these Teriyaki Steak Bites. The steak bites that we enjoyed at Steak Shack were a little different than these in that they were spicy. I chose to go the Teriyaki Steak Bite route because I knew teriyaki sauce would be a bigger hit with the boys than spicy sauce. But the gist of the dish is the same. 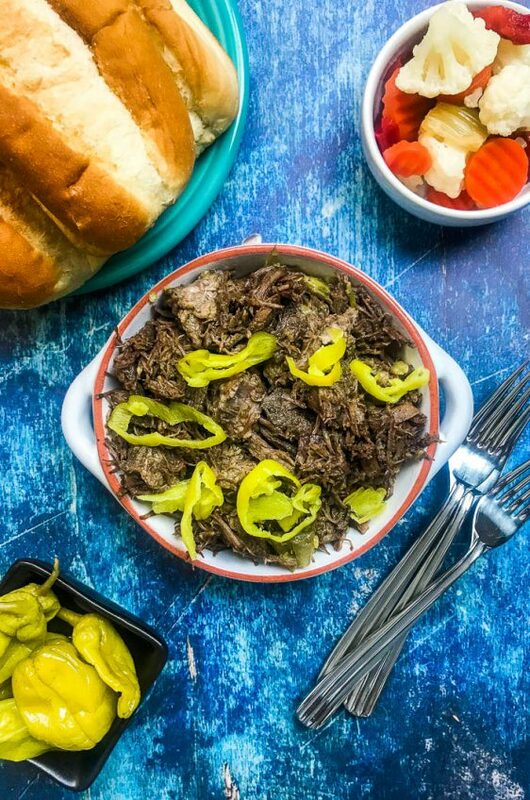 Bite size pieces of tender beef cooked to perfection. 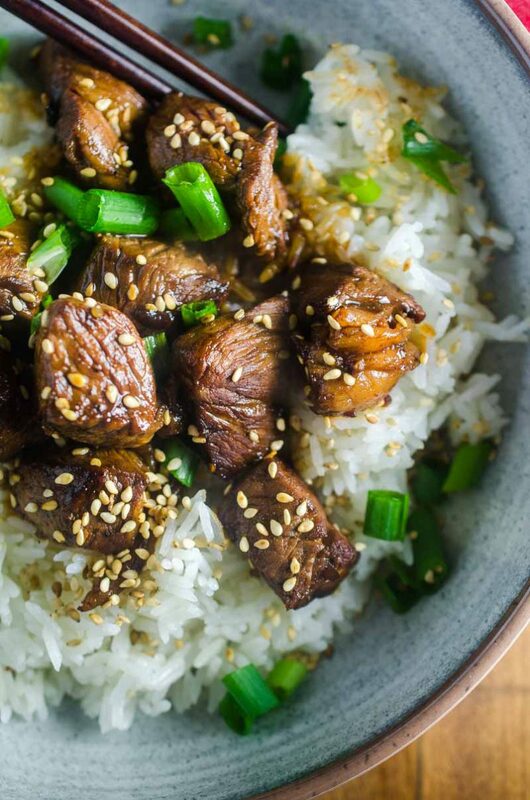 To make Teriyaki Steak Bites you do have to plan a little bit ahead of time because you will need to marinate the steak bites at least 6 to 8 hours, preferably overnight. Marinating overnight gives the best flavor by really allowing the meat to soak up the flavor of the teriyaki. 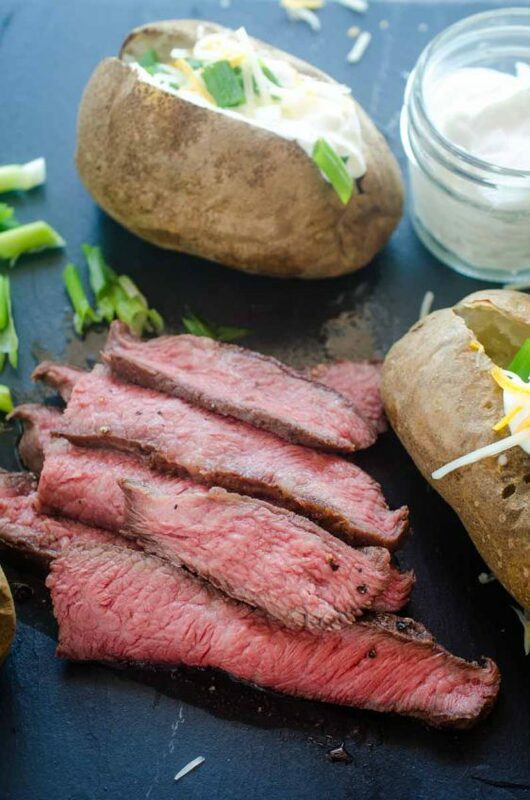 Like all of my steak, I recommend cooking these steak bites to medium rare to medium. If you cook them any longer than that they have the tendency to get tough. Just as predicted, Teriyaki Steak Bites were a hit with the kiddos. They gobbled them up and asked for seconds. They especially loved them served alongside garlic rice and salt and pepper roasted Brussels sprouts. Yeah, my boys like Brussels sprouts. Who would’ve thought?! 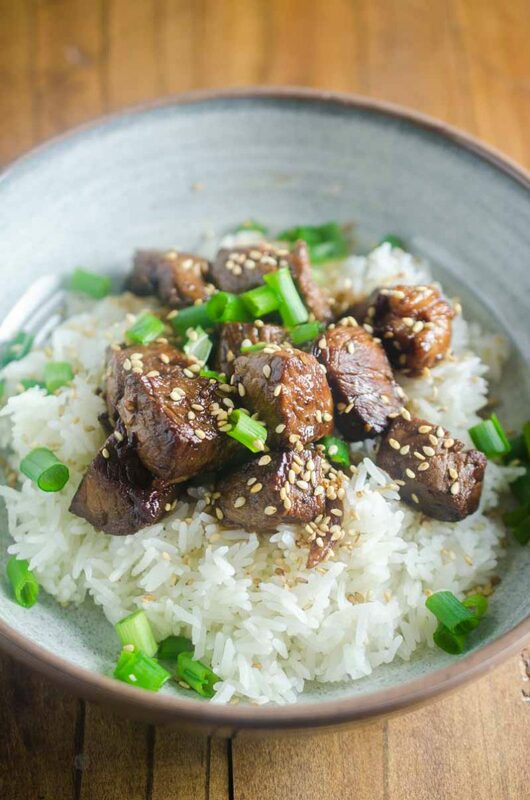 Combine teriyaki, soy sauce, rice vinegar, garlic, onions and black pepper together in a bowl. Mix well. 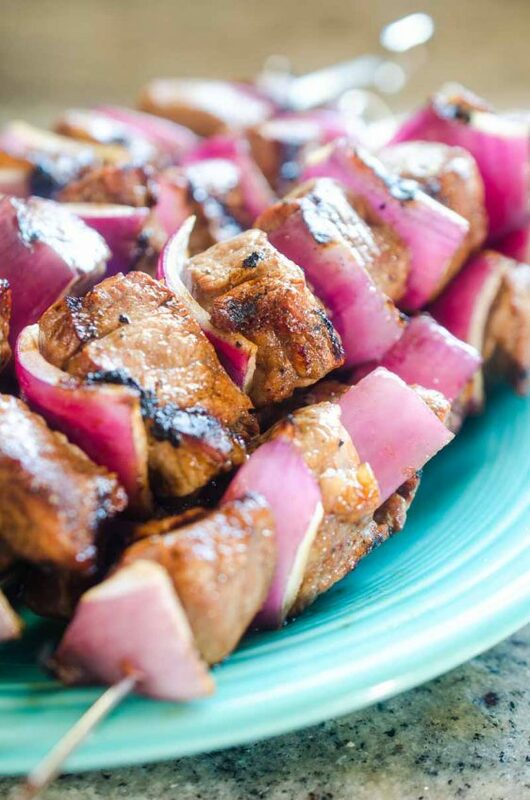 Pour marinade over steak. Cover and refrigerate for 6 - 8 hours or overnight. 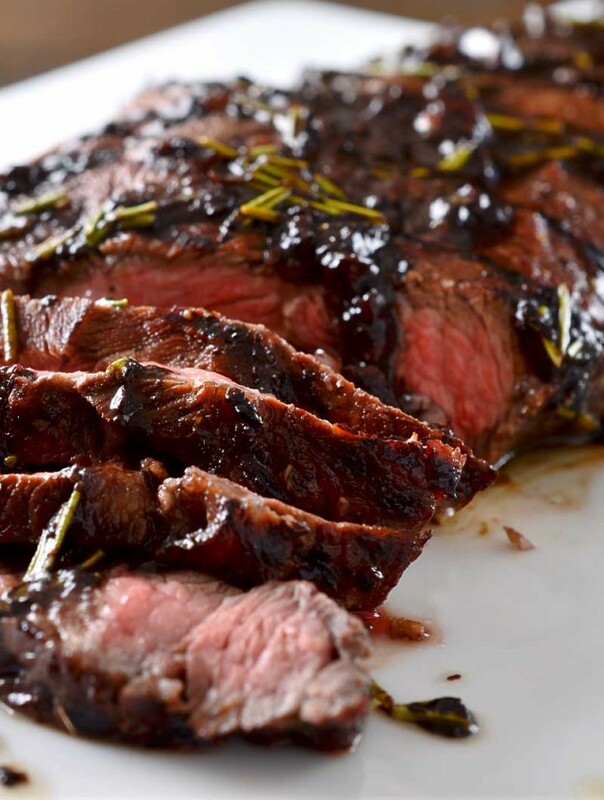 When ready, remove steak from marinade. Discard remaining marinade. 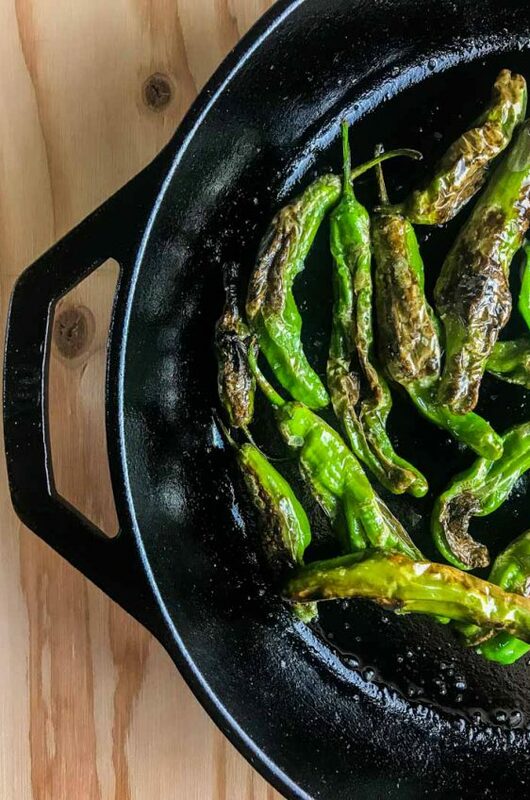 Heat a cast iron (or other heavy bottomed) skillet over medium-high heat. 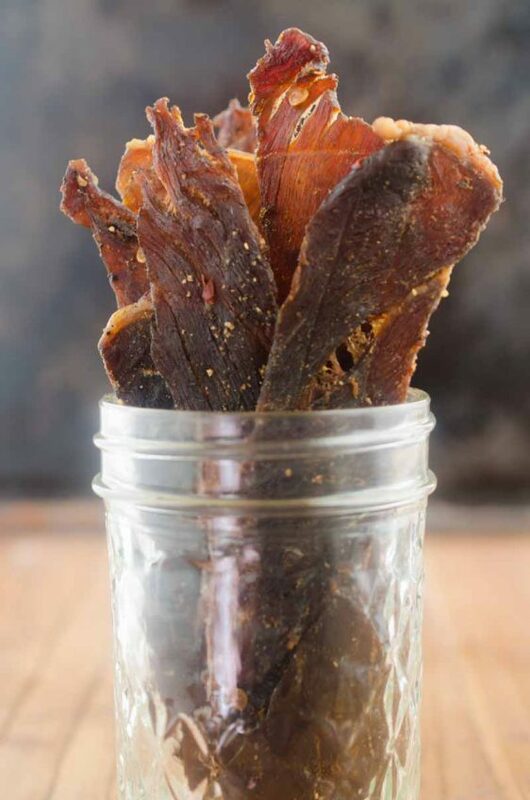 Cook bites 3 - 5 minutes, in batches if necessary, or until desired doneness is reached. Transfer to a serving platter and sprinkle with sesame seeds and diced green onions. Do you use any oil when you cook them? Mary- I didn’t use any but my cast iron skillet is pretty well seasoned and things don’t usually stick. With that being said, you could certainly use just enough to coat the bottom of the skillet. About 2 tablespoons of a high heat (canola or avocado oil) should work! I’ll be dreaming of Hawaii with every bite!! Looks delicious! My family would love this dish!! Its fantastic!! These look so flavorful, I know my kids would love them like yours do! And what’s your secret to getting them to eat Brussels sprouts, haha?! I roast them and think they’re delicious, but can’t get my littles on board! I love making stuff like this at home instead of spending tons of money going out! Also love how we know everything that goes into the meal! Thanks for sharing this recipe! My Hubby is going to love these bites! So delicious! This will be a hit with my crew! We love Teriyaki so this will be perfect. These little bites look SERIOUSLY delicious! They’d make a great appetizer too! Is there any reason that I can’t cook the marinade after cooking the steak bites and use it too? We like a sauce with our rice and I hate to waste all that good flavor.